It is doubtful many Australians realise what a consequential leader Japan Prime Minister Shinzo Abe has been for Australia. During Abe’s first, truncated term as prime minister he and his Australian counterpart, John Howard, signed a bilateral Joint Declaration on Security Cooperation, paving the way for closer defence and security cooperation and a genuine strategic partnership. The two countries’ relationship had been consequential for decades but was previously confined mostly to economic and diplomatic engagement. Abe returned from years in the political wilderness a leader transformed – tougher, wiser and a formidable political operator. In an important 2012 article on his foreign policy vision he named Australia as one of the four points of his “democratic security diamond” with Japan, the United States and India forming the other points. The US-Japan-Australia Trilateral Strategic Dialogue has now convened at leaders’ level twice, and Abe has been there both times. 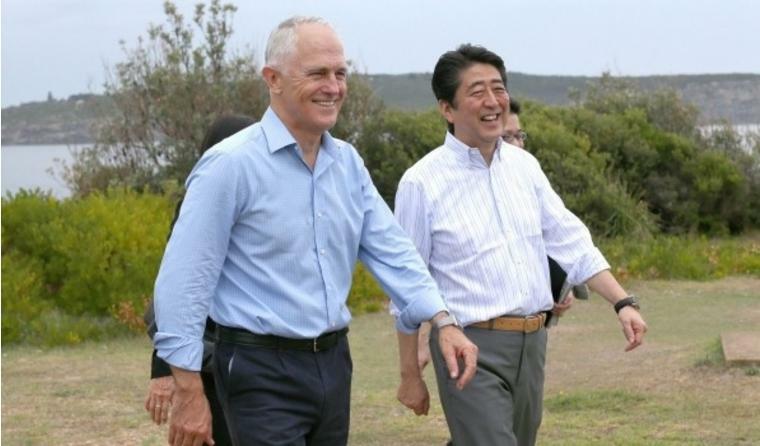 Along with his vision of embedding Japan in a strong web of Asia-Pacific maritime democracies, Abe’s domestic political strength and personal rapport with Tony Abbott were crucial to clinching the Australia-Japan free trade agreement in 2014. That arrangement – initiated by the Howard government then left to languish by his Labor successors – has already yielded increases in two-way trade and investment. It looks even more far-sighted since the Trans-Pacific Partnership became a collateral casualty of rising global protectionism and the US presidential election campaign. One of the ironies of Abe’s visit is that it has been an Australian foreign policy goal since at least the Howard government to cajole a reluctant Japan into making a greater contribution to international security, particularly in the Asia-Pacific region. 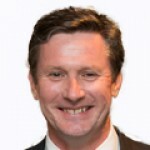 This was certainly a priority for the Howard, Gillard and Abbott governments, each of which took important steps to strengthen bilateral strategic ties with Japan; it was also one of the original policy goals of the Australian and US policymakers who conceived the Trilateral Strategic Dialogue. Now, however, it is increasingly Japan – under Shinzo Abe – that is leading the way. Many US allies were understandably nervous following Donald Trump’s election in light of his scathing campaign rhetoric about alliances. Japan had more reason than most to be worried: the US-Japan alliance has been in the President-elect’s crosshairs since the 1980s because Trump thinks it costs the United States too much. Yet it was Abe who took the initiative as the first international leader to beard Trump in his New York den – a high-stakes gamble that seems to have paid off. And Abe’s contribution goes well beyond a knack for deft, self-confident gestures. Under his leadership Japan has increased defence spending (albeit from a low base), amended Japan’s constraining security laws to allow it to make an expanded (but still limited) contribution to defending its allies and partners, and significantly expanded the scope of Japan’s military contribution to the US alliance. Ultimately Abe wants to amend Japan’s pacifist constitution to enable his country to do more. He has embarked on a hectic international travel program – particularly in the Asia Pacific – to build relationships and boost Japan’s influence (while also countering China’s). And he continues to push vigorously for trade liberalisation despite its unpopularity and the demise of TPP. The US election only makes the Australia-Japan strategic partnership more important – and more urgent. The campaign fanned concerns about the long-term future of American leadership and the United States’ commitment to maintaining international security. Australia and Japan have a much better prospect of influencing the incoming Trump administration’s approach to Asia – and encouraging it to remain firmly engaged in the region – if they work closely together, align their messages, and demonstrate they are stepping up their own efforts. The Turnbull government’s decision to partner with France rather than Japan to deliver the next generation of Australian submarines was a major missed opportunity to strengthen strategic ties. Since then, and announced over the weekend, an enhanced logistics arrangement has been reached, but negotiations on a reciprocal access agreement to provide the legal basis for expanded military exercises in both countries have languished. Australia’s prevarication about conducting patrols close to disputed features in the South China Seas in support of international law and freedom of navigation – reportedly out of apprehension about China’s reaction – has been noticed in Washington and won’t have been missed in Tokyo. US and regional observers will also be watching implementation of Australia’s 2016 Defence White Paper investment commitments with close interest. Abe’s visit to Australia is an opportunity to restore much-needed momentum to a strategic relationship whose importance will continue to grow as North Korea’s missile and nuclear weapons programs mature and as China asserts itself more and more, whether in the South China Sea, the East China Sea or, as we saw last week, in the Taiwan Strait.